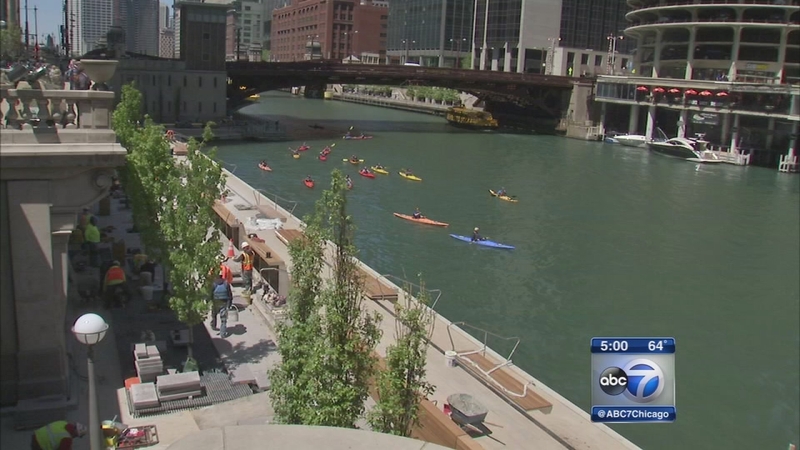 CHICAGO (WLS) -- Chicago's Riverwalk will be a busy place this weekend as the city announced a schedule of events including music, food and activities for downtown workers and families Wednesday. The events will be along the waterfront from LaSalle to Lake Shore Drive Friday-Sunday. There will also be boat tours and drink specials at some Riverwalk vendors on Wednesday and Thursday. Loop Office Party - Downtown Worker Appreciation Day: Vendors will offer various food and drink specials. A Hawaiian luau pig roast will be held at the Island Party Hut, 355. E. Riverwalk South, at 4 p.m.
-Yoga by the East Bank Club at Island Party Hut at 9 a.m.
-Art and activities with the Chicago Loop Alliance near Wabash, which will include a plant sale and mural painting from 11 a.m.-6 p.m.
-Family music performances at The Cove between Dearborn and Clark from noon-5 p.m.
-Boat run and bridge lifts along the river at 1 p.m.
-Hawaiian luau pig roast with live music at Island Party Hut at 4 p.m.
For more information, visit the Chicago Riverwalk's website.